SKIN INC DAILY DOSE BALANCE & DETOX Review (2018): Does It Work? SKIN INC WONDER SERUM BALANCE & DETOX Review: Ingredients, Side Effects, Customer Reviews And More. SKIN INC WONDER SERUM BALANCE & DETOX, US $98, is an overnight repair serum that aids your skin in coping with the damages incurred by your skin daily. About SKIN INC DAILY DOSE BALANCE & DETOX — Does It Really Work? This product is brought to you by Skin Inc., the new line of highly customizable solutions specially conceptualized to answer to every unique skin care need. Its “My Daily Dose” product line is fast accumulating a cult following because products under this label can be easily adjusted to suit every type of skin and skin need. 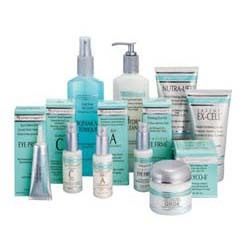 Promote skin that is well-nourished and optimally hydrated. Enhance your skin with key vitamins that help it better able to cope with daily skin stressors that include urban pollution. Reinvigorate your skin by delivering a nightly treatment that helps restore the optimal level of energy your skin cells require to become sufficiently rejuvenated. Illuminate your skin with a natural glow that instantly makes it appear younger. 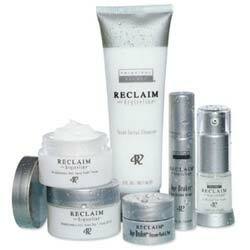 Restore your skin’s balance every night so you can always start the day with a lively complexion. What Are The Ingredients In SKIN INC DAILY DOSE BALANCE & DETOX? Vitamin A: The key age-defying vitamin, it delivers anti-aging benefits in two ways — first, by speeding up the rate of cellular regeneration and turnover and, second, by lightening dark skin. 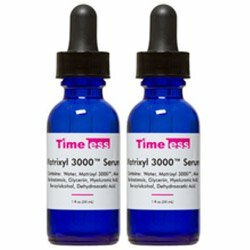 Vitamin B3: Also known as Niacinamide, it reinvigorates tired, stressed out skin in multiple ways, serving as a micro circulation enhancer which improves your skin’s nutrient uptake, as a powerful antioxidant, and as a skin brightener which also helps even out your skin tone, among other functions. Vitamin C: The super antioxidant that ably protects your skin from damages caused by free radicals and other damaging and aging environmental factors, it also has natural astringent properties that lighten your skin and promotes a clearer, brighter overall complexion. Use SKIN INC DAILY DOSE BALANCE & DETOX up to two times daily, using 3 drops of the serum each time. Smooth product over freshly cleansed and toned skin. Apply under your moisturizer. SKIN INC DAILY DOSE BALANCE & DETOX is unscented which makes it a good candidate to fit sensitive and reactive skin types. This product is not formulated with parabens, sulfates, and phthalates. This product is significantly more expensive than most other similarly formulated serums. SKIN INC DAILY DOSE BALANCE & DETOX reviews are severely limited, offering little information to gauge a collective user perception about how this product performs versus claims. This product appears to have a limited distribution channel. Does SKIN INC DAILY DOSE BALANCE & DETOX Have Any Side Effects? Skin irritation and allergic reactions due to several ingredients, including butylene glycol across all three serums, and retinyl palmitate for the Vitamin A serum. SKIN INC DAILY DOSE BALANCE & DETOX gives you the option most other labels don’t, and that is to give your skin only what it needs at the concentration your skin needs it. However, these three vitamins, although key to anti-aging, are hardly ever sufficient to help correct and protect mature and aging skin.